Does Eating Grapefruit Raise the Risk of Breast Cancer? Can Grapefruit Raise Your Risk of Breast Cancer? Does eating grapefruit increase the risk of breast cancer, or does it actually lower risk? This question is an important one to ask, as headlines have made both claims over the past decade. It's thought that grapefruit may alter liver enzymes resulting in higher estrogen levels, but at the same time the fruit contains a phytonutrient, naringenin, associated with a lower risk. Let's look at what the studies to date are telling us so that you can make an educated decision about your own grapefruit consumption. Can eating grapefruit really raise the risk of developing breast cancer? News about breast cancer research makes international headlines and appears to be the latest truth about this disease. But are the headlines always completely accurate? Is grapefruit actually deadly? To date, three population studies have looked at the possible association between grapefruit intake and breast cancer. Researchers at the University of Southern California and University of Hawaii have done the only study that takes a look at a possible link between grapefruit consumption and breast cancer risk. The authors of the study, which surveyed 50,000 postmenopausal women, have concluded that "grapefruit intake may increase the risk of breast cancer among postmenopausal women." In this "positive" study, it was found that, on average, women who ate at least a fourth of a grapefruit per day were 30 percent more likely to develop breast cancer. In contrast, studies done in 2008 and 2009 found no association between the consumption of grapefruit and breast cancer risk. "Grapefruit Could Help Cure Your Breast Cancer"
Only a week after the "grapefruit scare," researchers at the University of Chicago reported that patients taking lapatinib, a breast cancer drug, with a fatty meal and grapefruit juice, could get five times the benefit of the drug, because the food and grapefruit juice aids its absorption. But don’t change your medicine habits based on that one scholarly paper. More tests are needed before definitive results can be reached. We know that grapefruit can affect metabolic processes in the body. Through its action on liver enzymes, it can inhibit the breakdown of some drugs (such as some cholesterol medications) resulting in higher blood levels of the drug. Considering this action, some researchers proposed that grapefruit may similarly lead to elevated estrogen levels in the body. A 2013 study decided to see what happens to estrogen levels in a woman's body when she eats grapefruit. It was found that postmenopausal woman who ate more grapefruit had higher estrogen levels, although further studies are needed. in addition, since estrogen levels are much higher in premenopausal women, it's uncertain if an affect would be likewise noted. Going back a few years, to 1998, it was found that naringenin, a compound found in grapefruit, inhibited breast cancer cells that were grown in the lab. When looking at the possibility that grapefruit could have an effect on postmenopausal breast cancer risk, it's important to weigh this against the potential benefits of adding grapefruit to a healthy diet. Grapefruit is rich in vitamin C as well as phytonutrients. What happens so often is that "scares" such as the grapefruit scare result in the baby being thrown out with the bathwater. If a woman were to eliminate grapefruit in hopes of reducing breast cancer risk, but replace the fruit with foods such as potato chips that are high in acrylamide or any number of other processed foods, getting rid of the grapefruit could be detrimental. Researchers will tell you that if only one study has been done, it makes a fine headline, but it isn’t the final word in health science. Medical research is carefully done, and is a long process that allows for challenge and validation. Studies on breast cancer risks, treatments, and survival get great news coverage, but also frighten many people, because of the way the research results are reported. If only one or two studies proclaim a new hazard or a new cure, don’t panic. Wait until a well-respected authority, such as the National Cancer Institute puts its stamp of approval on the definitive answer, then you can respond. The decision on whether or not to include grapefruit in your diet will be different for everyone. What's important is that you have access to what is currently known (or unknown) to make the best decision until we learn more. Monroe, K., Murphy, S., Kolonel, L., and M. Pike. 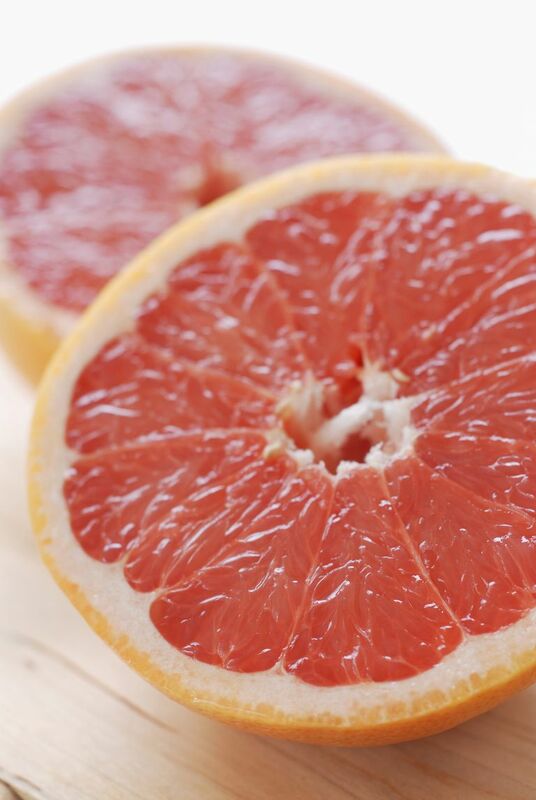 Prospective Study of Grapefruit Intake and Risk of Breast Cancer in Postmenopausal Women: The Multiethnic Cohort Study. British Journal of Cancer. 2007. 97(3):140-145. Monroe, K., Stnzyk, F., Besinque, K., and M. Pike. The Effect of Grapefruit Intake on Endogenous Serum Estrogen Levels in Postmenopausal Women. Nutrition and Cancer. 2013. 65(5):644-652.